Books, stories and pictures have provided a life-long fascination for me. 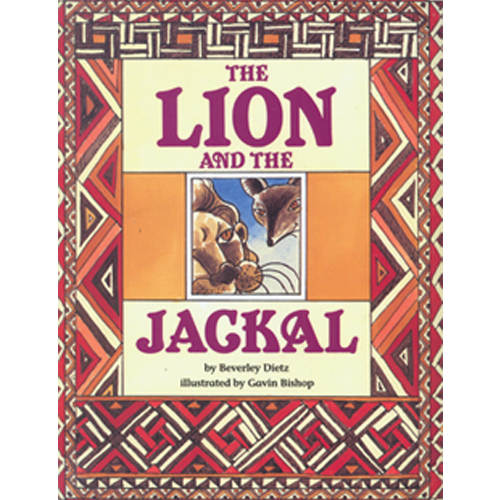 Children's picture books in particular, with their intertwined rhythms of pictures and words combining to tell a story in an often deceptively simple way, have always interested me. My first picture book, 'Mrs McGinty and the Bizarre Plant' was published in 1981 by Oxford University Press. A third collection of Snake and Lizard stories. 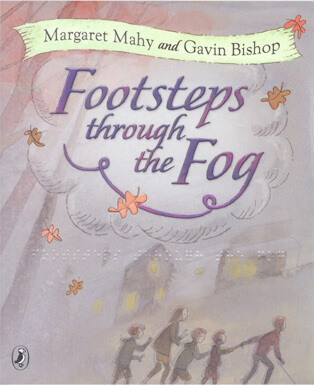 "Great read-a-loud for primary schools. Lots of wisdom here and justly called modern Fables in the Aesop mould. 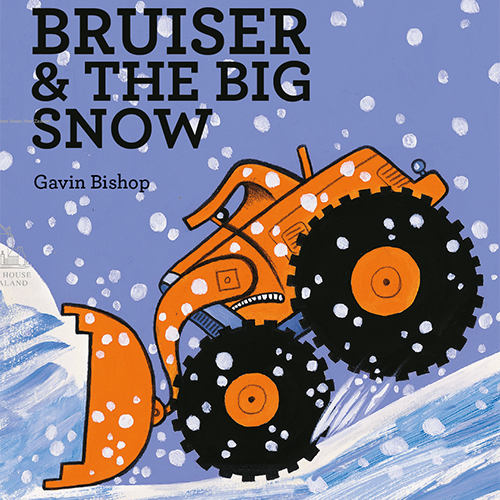 Gavin Bishop’s superb illustrations enhance the characters and the story line." A monumental achievement, this, to sum up our history in 65 pages. My pick for NZ book of the year - make that the decade." – Anne Packer, The Listener. 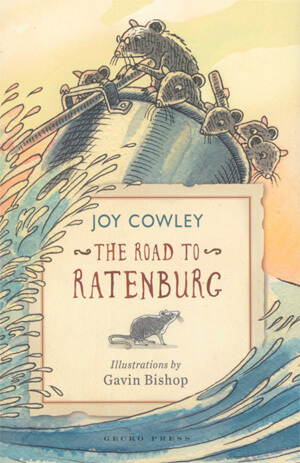 "The journey is fraught with danger as they meet rataphobia from humming beans (human beings) and have to conquer the Sunsweep Lake full of rat eating eels, the Bottomless bog, the Forest of Perilous Pines and the swing bridge. But will they find Ratenburg? Gavin Bishop, who is well acquainted with rats, illustrates superbly, capturing important moments and characters, with his black and white pen and ink drawings." 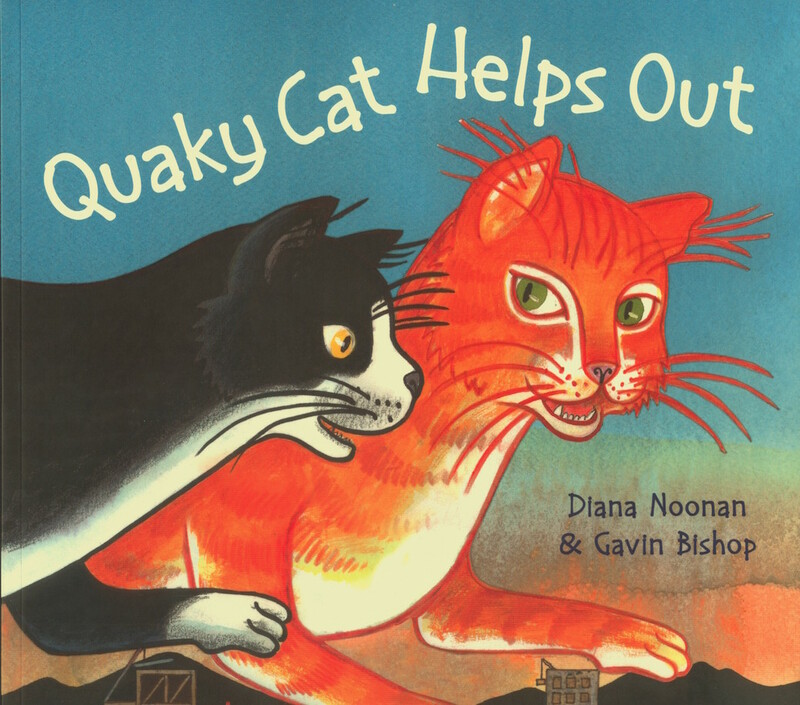 “In memory of the Canterbury earthquakes of 2010 and 2011, Quaky Cat Helps Out is a tribute to the brave children and families who have opened their hearts and homes to help a broken city”. 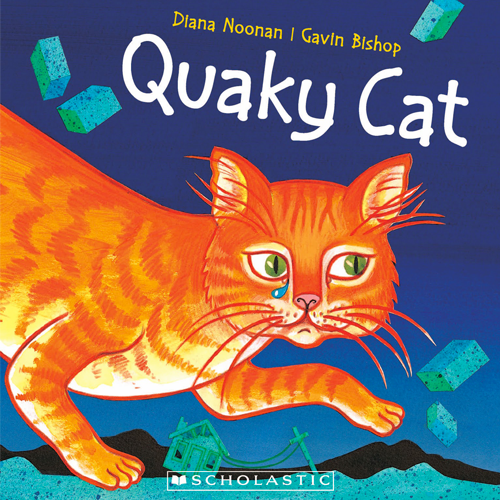 Published by Scholastic NZ Ltd 2015 | ISBN 978-1-77543-297-5 | Full colour 32 page picture book. 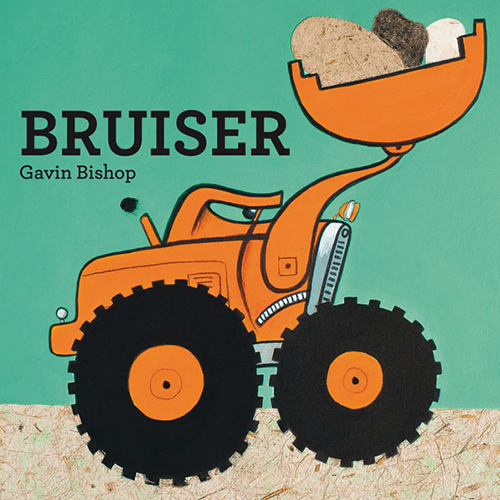 "When you pick up this solid little book you know Gavin Bishop is saying, “Come on in. Make yourselves at home”. 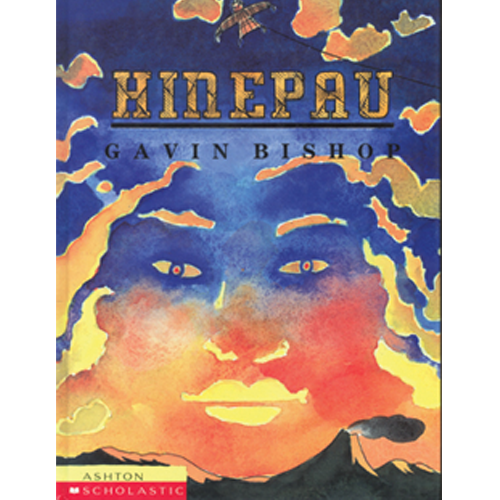 We had a hint that Gavin could write a book like this after Piano Rock but in this novel he has taken it to a new level. It is quite simply superb! Naturally the book is autobiographical. The title tells you that and what a fantastic way to tell it. 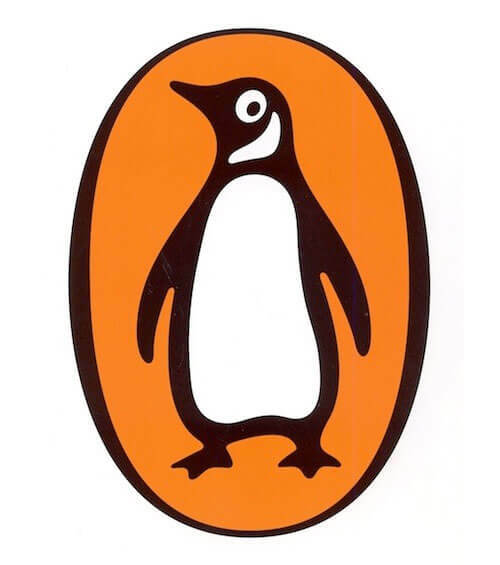 This novel is for everyone. Grand parents should read it to their grand children and parents read it because it is wonderful. Do yourself a favour and read it." 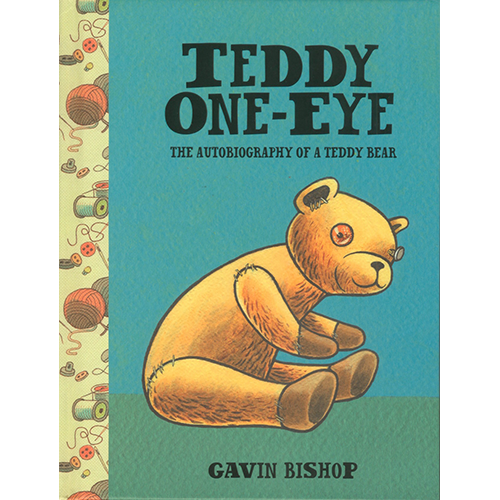 "This novel should quite comfortably sweep all children’s book awards next year." 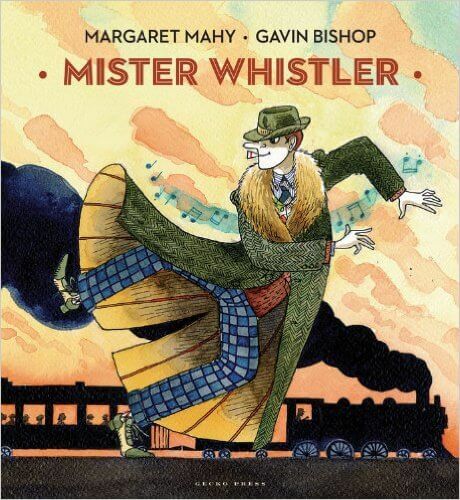 Gavin Bishop’s illustrations for Mister Whistler are my favourite of all of his work. There’s so much joy and energy in the illustrations and you can see it bursting out of Mister Whistler, who is always smiling. I love the way that Gavin has made the story flow from one page to the next, both my Mister Whistler’s dancing body and the musical notes which follow him. Mister Whistler himself is quite gangly and I love the way that Gavin has him throwing his long limbs all over the place as he dances. Gavin’s use of colour is spectacular, from Mister Whistler’s blue, checked trousers and very loud wall-paper, to the flaming sunrise in the background. Gavin has added a real spark to Mister Whistler’s character too by giving him a crazy dress sense. 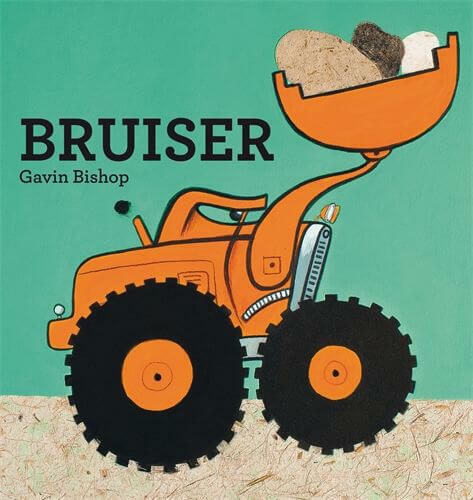 "High quality picture book sequel to Bruiser. 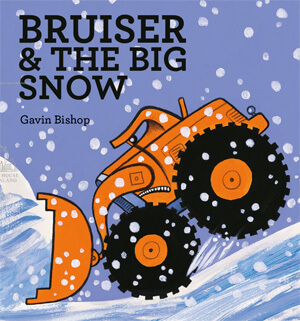 Big bold illustrations of Bruiser that bring out his character are a highlight. Bruiser is a good citizen and I doubt that we have heard the last of him. Great boy appeal but this title is for everybody." 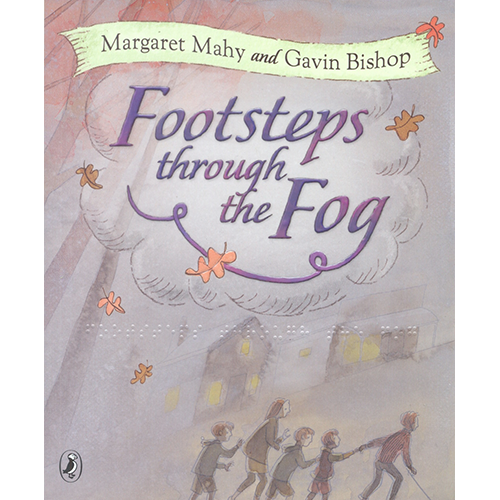 All proceeds from this book go to the Royal New Zealand Foundation for the Blind. 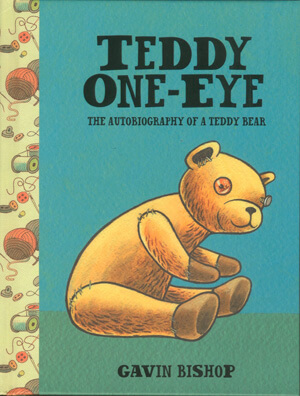 Published by Penguin Books 2012 | ISBN Paperback 978-1-43505570 | 32 page picture book. What will Jojo and Brett do about their pet grumpysaurus? Why is Zamforan the dragon living in the library? Can ex-pirate Billy Castor drive without his lucky feather?Will Jack escape the woggly hole that follows him everywhere? And why is a horse riding the escalator? 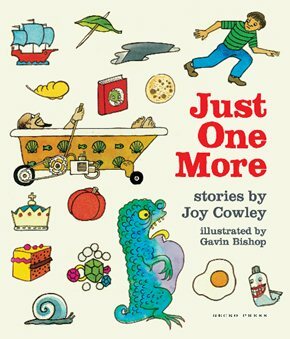 "This is a delightful collection of whimsical stories and tall tales for four to six year olds from the inimitable Joy Cowley. 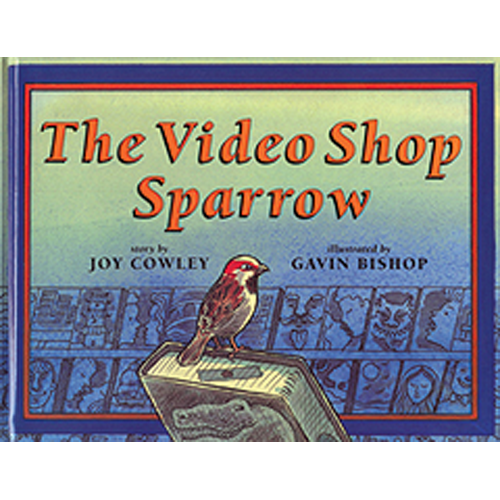 Short enough for reading aloud with young children (even those slightly younger than four) yet challenging and interesting for older children to read alone. 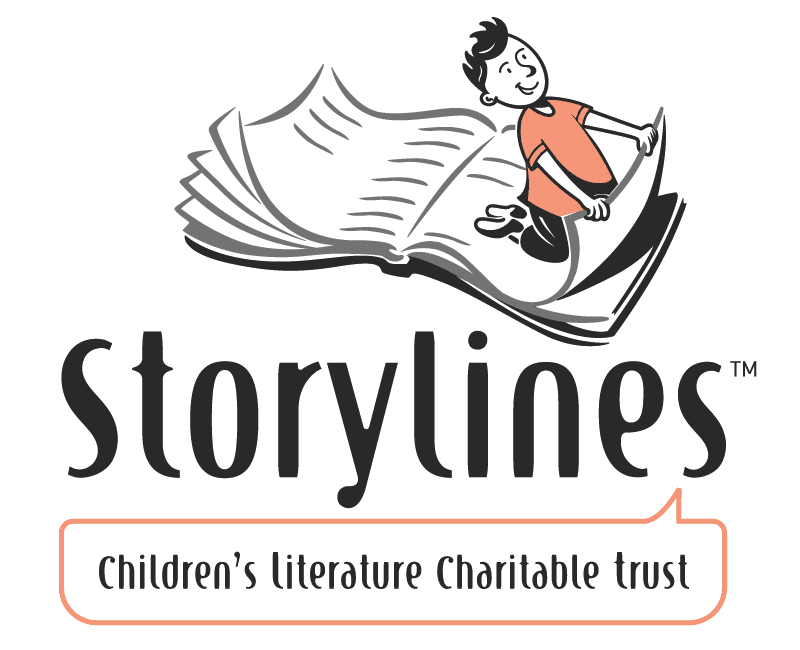 The tales are tightly woven, brimming with fantastical creatures and magical occurrences." It is Springtime and all the animals are playing on the farm. Can you count them all? 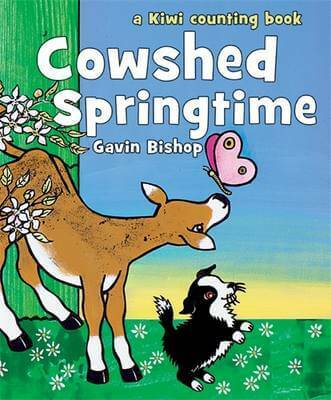 A Kiwi counting book for pre-schoolers, designed as a follow-up to Cowshed Christmas. 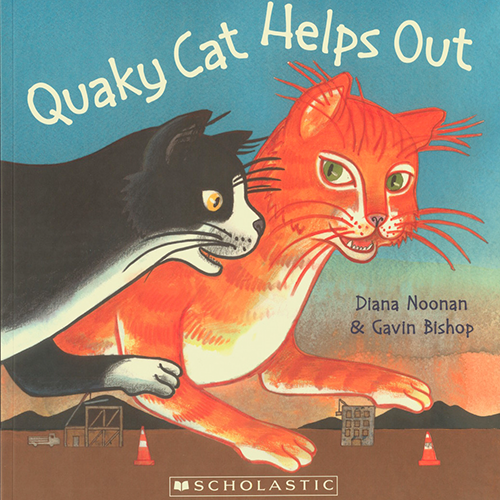 Quaky Cat is an evocative, uplifting story that will touch the hearts of all who read it.It includes endorsements by Margaret Mahy, Jason Gunn and Mayor Bob Parker.Scholastic will donate 50% of net proceeds from the sales of this book to Canterbury charities.Diana Noonan will donate all her royalties from this book to the Christchurch Women’s Refuge.Gavin Bishop will donate all his royalties to Te Tai Tamariki Charitable Trust for the Preservation of New Zealand Children’s Literature. 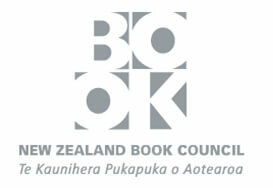 - Notable Book of the Year, NZ Children's Book Foundation. It is 1798 when Jack Bull Esq. arrives in Aotearoa to find a land strong in spirit and tradition. 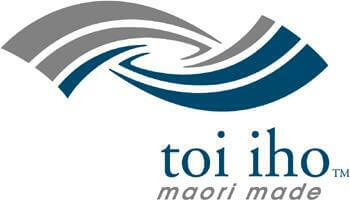 The Maori, the people of the land, are eager to have his iron pots, nails and blankets to enhance their daily life. But Jack's arrival is followed by more and more people from Europe. To the Maori, the land is their Earth Mother, Papatuanuku, who gives life to all things. However, the settlers pressure the Maori to give up their land to build farms and towns, and Papatuanuku is divided and sold. Tension over the loss of tribal land eventually leads to the Land Wars of the 1860's. 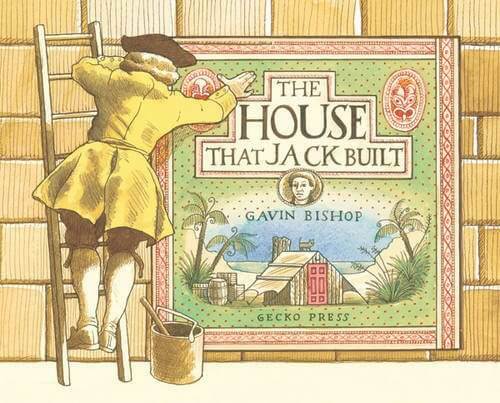 As in the traditional rhyme, the house, the malt, the rat, the cat, the dog, the cow with the crumpled horn, the maiden all forlorn, the man all tattered and torn and the others help to tell Jack's story.